Stickies A collection of threads deemed important enough to have their own section. Moderator approval is required. Those are the early 1995 CBR600F3 model distinguished by the F2 rear light unit and steel grab handle. A more stylish rear with bigger back light and alloy grab handle. Take a good look at those pictures again. 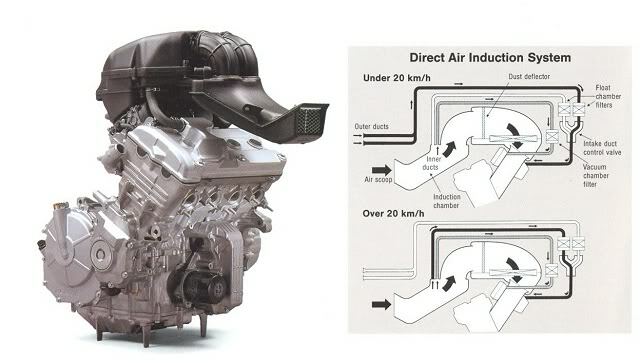 Do you see the words Direct Air Induction or as we often called it ram air?? ...*this* is what MADE the CBR600F3 for me over the previous incarnations. Oh sure, the old CBF600F2 was a brilliant bike and the F3 just builds upon it with a face lift, tweaked suspension, bigger brakes etc. But, the real difference was in the engine response from the DAI system, increased compression, bigger carbs and remapped ignition. This bike was a big and worthwhile improvement. The whole engine response was stronger and more fluid. Much less asthmatic in the mid range. Remember I am comparing these bikes to how they were and felt when new and as standard. If things have been changed like exhausts, and rejetting then both the F2 and F3 can be better or worse depending on how well set up they are. It is hard to improve on a standard, original and well set up F3 though without spending serious money. Often all these new pipes do is trash your midrange and make the bike sound noisier and therefore sound faster ..lol. Remember serious power hikes or worthwhile ones always cost a lot of money. If you need more power simply buy a bigger bike. But that’s just my opinion. I have never been one for messing with a standard bike. The manufacturers are good and know what they are doing for good all round performance/economy. 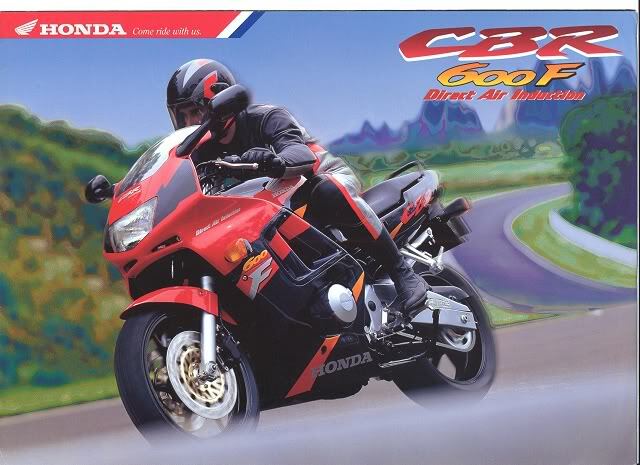 So was launched the CBR600F3 in 1995 as the CBR600FS, chassis wise you got a wider rear wheel for fatter rubber, revised suspension and bigger 296mm discs. Weight was still 185Kg. 1997 updates included, an improved ram air system, more ignition changes, sleeker rear end with new lights, an alloy grab handle and a white faced tacho. I could simply take no more. I went out and traded my F2 in 1998 for a new F3, based on riding the earlier 95 F3. I found the 1997/8 F3 to be even better, noticeably so. What is it like to ride?? I have owned an F3 from new for over ten years now and it has been a total joy. Plenty powerful enough, a nice growly sound from the ram air intakes, especially so when snapping the throttle open from about 5,000 rpms onwards. The bike pulls from nowhere, it will filter slowly and smoothly through traffic at 1500 to 2000 rpms or amazingly cruise at 120mph on a whiff of gas, although like most bikes high speed cruising is much nicer and less stressful at 90 - 100mph. It always truly amazed me how quickly it would reach 140mph on the clock if I sang it through the gears between 9,000 and 11,000 rpm. The F3 is a fast bike by anyone’s standards and certainly plenty fast enough for the road. However, bikes are not all about speed and it’s rare for me, especially these days to ride at silly speeds. For me the bike is more about comfort and acceleration at sane speeds, it’s all about usability. Thankfully the F3 has this in bucket loads, whether you are pootling along the country lanes in top gear at just 4,000 rpm, opening the throttle and soon finding yourself back on the pace, pulling away briskly from the lights with just 6,000 rpms and short shifting through the gears leaving the traffic way behind you, putting you safely in front and way ahead. Or, just cruising two up and admiring the view. The bike is comfortable enough for two up touring or taking to the race track at the weekend and having a blast. 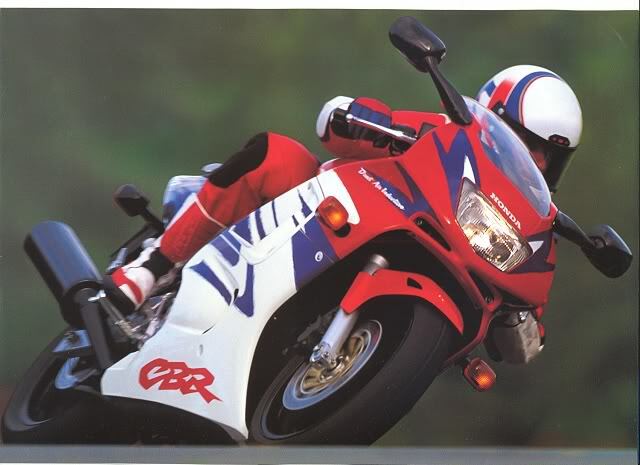 The F3 was everything the CBR600 was years earlier, only so much more. Even now, owning a ballistic 600RR that is light years ahead of the F3 I can still separate them and look at the F3 and say what a great and competent bike it was and is. So much so that I could actually go back to it if I had to. And also the reason I am still keeping mine and restoring her after a spill. She’s just *that* good! The engines are really smooth on these bikes and they have a nice spread of power and a good strong power band above 7,000 – 8,000 rpm. It has to be said that singing these bikes through the gears between 8,000 and about 11,000 rpm makes for very rapid and fun progress even today. Also the later F3 1997/1998 is very strong above 6,000 rpm so just changing gears between about 6,000 and 8,000 rpm with a handful of throttle is enough for many mere mortals and will propel you forwards at a not unreasonable rate of knots. Also there is very good, useable and seamless power from about 4,000 rpm on the later F3 which is ideal for traffic and commuting purposes. Remember everything with 600s is comparative. Just because a modern 600RR is much better doesn’t make the older models bad. No, it’s simply that the later bikes are better, just that. If I am going to be critical the engine response on the later F3 97/98 models is quite noticeably better than the earlier F3 95/96 models. The changes to the ram air system and the remapped ignition really made a difference and the bike simply feels much better and pulls harder everywhere, even right from tickover. The handling feels taut and tight in the twisties and the bike itself is very comfortable for long or short journeys. The mirrors are excellent if time is taken to adjust them right. Gear selection was always a bit clunky especially going into first but that was just a Honda thing and more of an annoyance than anything to worry about. Once again as I wrote about the old F1/ F2, an F3 will feel dated by modern sport bike standards. It won’t feel anywhere near as dated as the F1 though because the F2/F3 were quite a leap forward over that bike. Compared to a modern 600 RR the F3 will feel heavier, slower and less flickable. That does not mean it is heavy, slow and not flickable. It’s all relative. One thing the F3 does have is comfort. A 150mph plus top end and 0-60 time in about 3.2 secs is fine for most. Front suspension: 41mm catridge type fork with stepless adjustable preload and rebound damping. Rear Suspension: Pro link with 7 step preload and stepless rebound and compression adjustable damper with gas charged remote reservoir. Some close ups of the F3. As usual being a Honda the bike was very well appointed and nicely finished. It had thick paint and a nice set of clocks that gave the bike a luxurious feel. I love the white tacho! These were the three available UK colours for the 1998 year model. 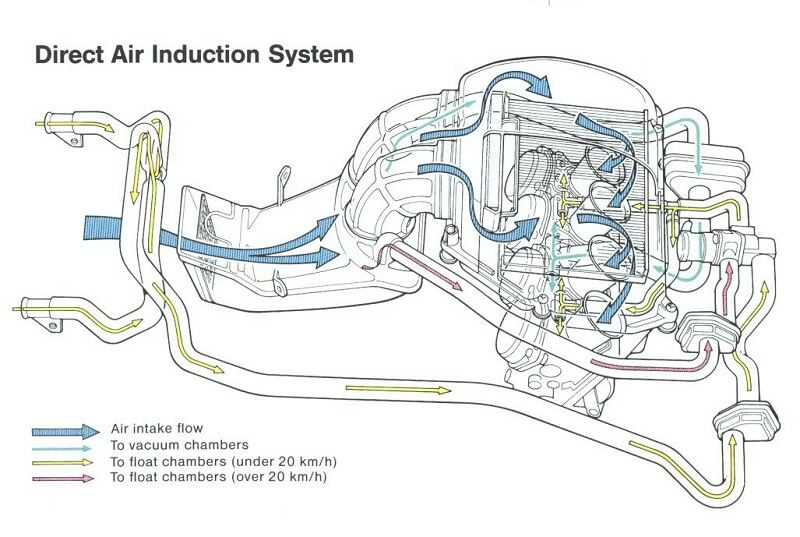 That Direct Air Induction System. This is what really made the bike (especially FV& FW 97/98 models) so much more responsive over the older F2 model. When I went from my F2 to the F3 it felt like I had gone to a 750 by comparison, such was the stronger power right throughout the rev range. The diagrams above show the routing of the air to the carburettors, one system was for under speeds of about 12mph and the other for speeds above that. This ensured the engine was never lacking what it needed. The main air intake was under the headlight with the two smaller pipes poking through either side of it. I can explain this system and how it works in intricate detail if anybody is really *that* interested, yes I was such a CBR geek in my day ..lol. More useful though, is I can take pictures of my own pipe routing for the system for those that have taken it apart and can’t for the life of them put it back right. The ram air being connected together in the correct way is crucial to this bike’s strong performance. As I said in my F1/F2 reviews all models of the CBR600 have been pretty much bomb proof but like anything there were a few ****les here and there but nothing too drastic. The engine/gearbox is strong, the CBR engine if looked after is capable of well over 100,000 miles. On F3s some people have cam chain woes I think around the 30-40K mark or less if unlucky. Also the voltage regulator can go but other than this the electrics are mostly reliable. All I can say it’s an easy fix and there will be plenty of help around the forums if you need advice on changing a tensioner. In 25,000 miles on my first F2 and 15,000 miles on my second F2 and 10,000 miles on my current F3 I never had any engine or electrical problems at all and I used to ride very briskly when in my younger days. Again, I never skimped on oil changes or redlined though. I am always a couple of thousand rpms shy of redlines. 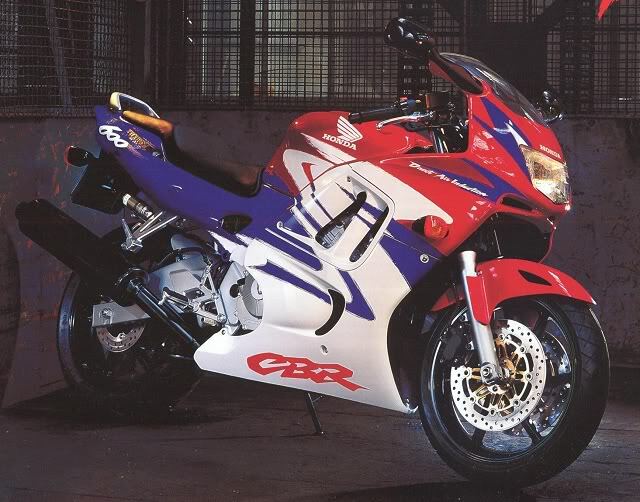 As I said the 1997/98 CBR F3s got a better engine response through a better ram air system and remapped ignition over the earlier 95/96 F3 models. The difference was quite tangible. Well, it was to me but I can be a real fussy knickers. But seriously, they were simply better and if you are looking for an F3 I would definitely be buying the 97/98 model over the 95/96 one. In my opinion the CBR600F3 is still a great bike today. And, quite simply, it is the best of the steel framed CBRs. 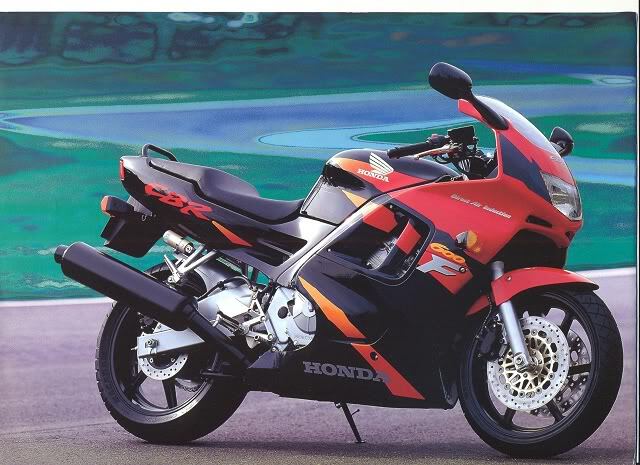 It was simply brilliant in 1995 at it’s launch and even today all these years later, if you can find a good one (especially 97/98 models) that has been well serviced and looked after, it is still a great bike to ride and have fun on. Whilst it is certainly no 600RR, and lacks that bike’s aggressive looks and potent performance, it is still a very pleasant machine to ride that is well rounded with an ample turn of speed if pushed. The engine spins up quickly, the induction noise is very pleasant and satisfying and the top end is plenty for anyone with a workable IQ. A well looked after CBR600F3 for the right price could be just the ticket to get into some fun fast biking cheaply without being saddled with finance in these somewhat hard times. Data and performance figures taken from various sources. Last edited by Juliet; 09-03-2009 at 08:14 AM. That is a really good one Jules ...bloody well done again.. This is very impressive. Do you work for Honda? Glad to know our moderator is smart and rides an F3. one too since I currently ride the 600RR. That is a nicely done review, good job. I am somebody that would like to know in detail how the DAI system works. Mainly, why the air going into the floats? You don't want one of these novices with no money on their first 2 wheeler, do you? I have the experience and financial stability to provide you with an exciting life you will be in a hurry to write home to mom about! BTW, I am much more handsome than my avatar!